My friend was in town for a couple of days, so we decided to catch up over lunch. We decided to go to yellow chilli seeing as it was convenient for both of us. 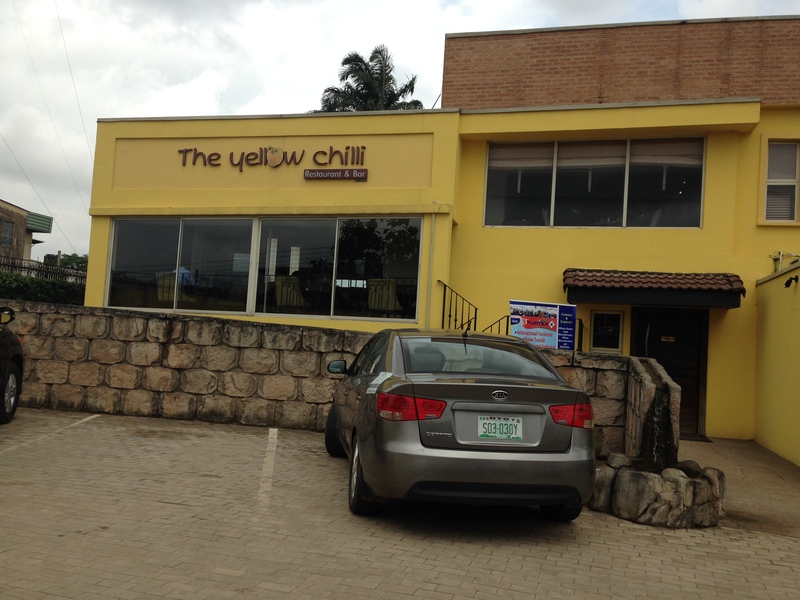 Yellow Chilli is a Nigerian restaurant located in Ikeja Lagos. (They have another branch in VI). 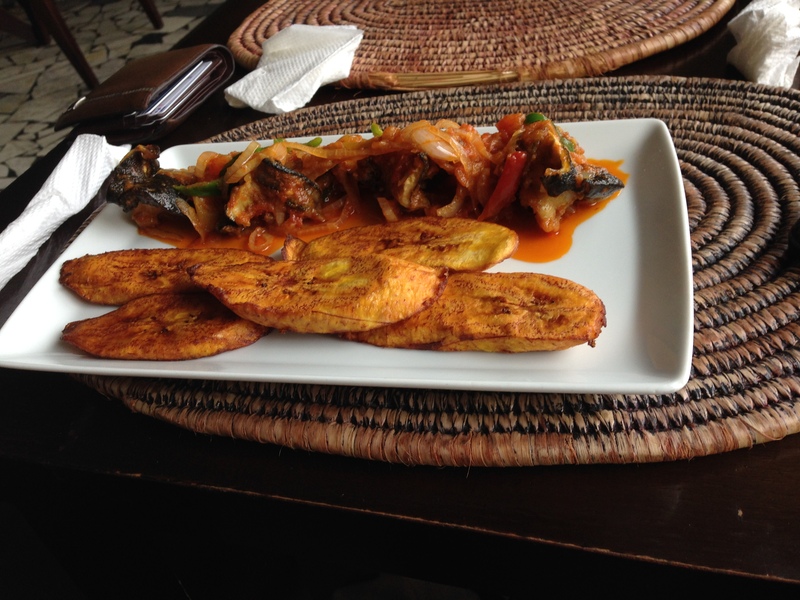 They serve mostly Nigerian food. 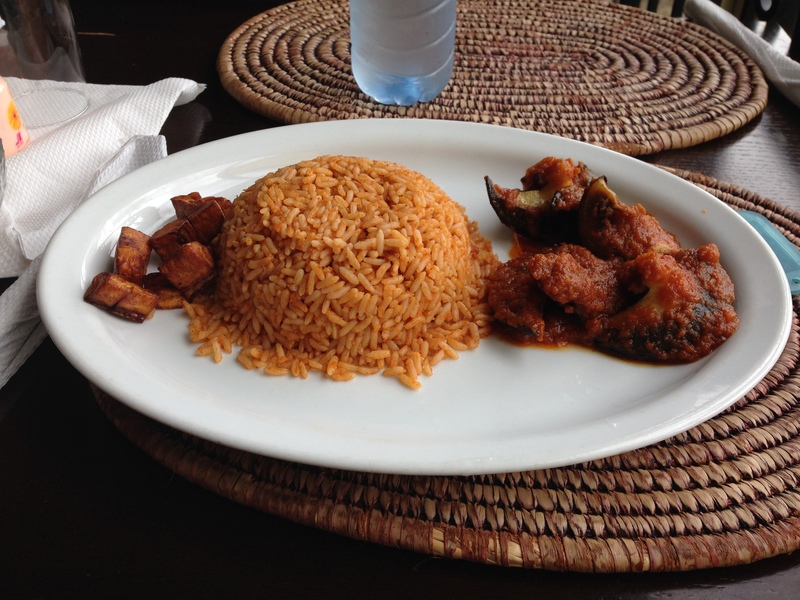 They have a selection of Non-Nigerian meals, but it’s not a lot. 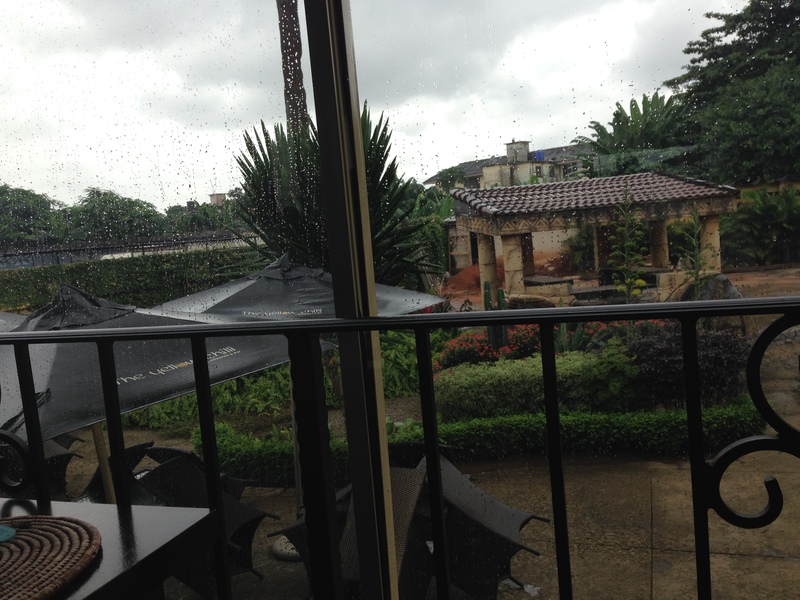 For those who know where the Ikeja country club is, it’s just down that road. The parking space isn’t alot for those who drive, but the security guards there are really friendly and do their best to help you. Looks small from outside, but there’s actually quite a bit of space inside. Due to the Ebola outbreak, when you get there, the security hand you sanitizer or offer you distilled water to wash your hands with. My friend wasn’t very amused by this but at least they’re taking the hygiene situation seriously. LOL. When you enter, a waiter/waitress immediately meets you and asks you where you would like to sit. Unlike some other places that may try to force you to sit in particular places, you’re pretty much allowed to choose anywhere here as long as its not already reserved. After we were seated, our menus were brought to us and after some deliberations, we made our order. 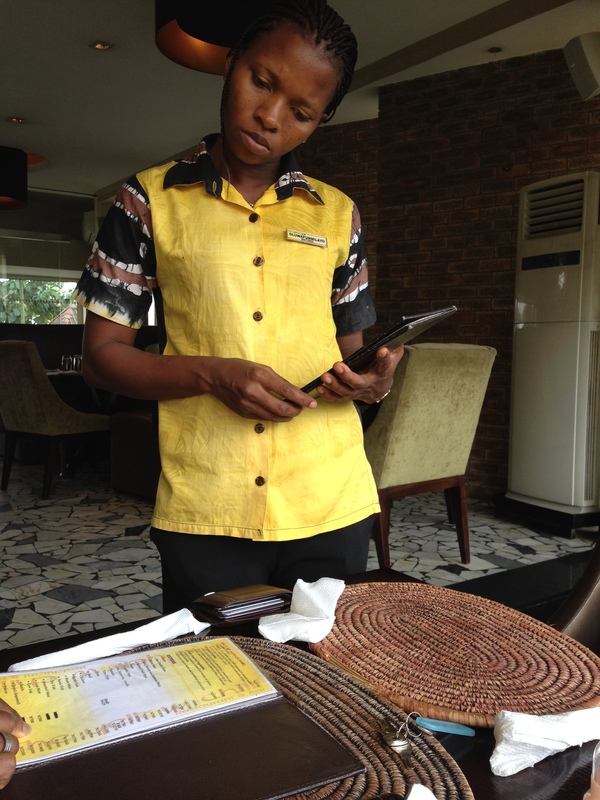 All the waiters/waitresses wear shirts made from ankara (an African fabric that can be used to sew any style of your choice). They are all really friendly and helpful (ignore her face, she was trying to help us decide what to get). 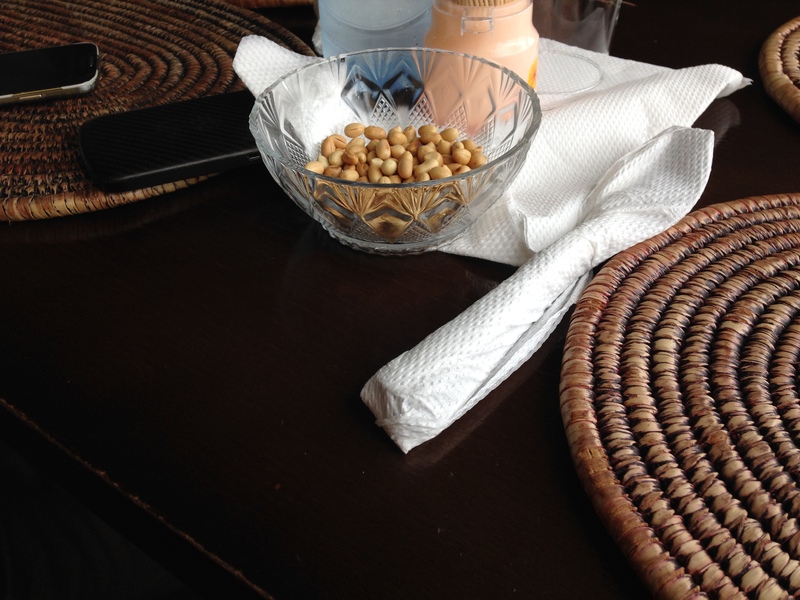 So we made our order and while we waited, she brought over our drinks, which was water and some groundnut for us to munch on. Of course I used this opportunity to take pictures of the place. The décor is quite simple, nothing fussy and space is used properly. It’s well laid out and not as tight or stuffy as one would think when you see it from outside. They also have some sitting space upstairs. I think their menu covers dishes in every Nigerian category e.g egusi, nkwobi, oha soup etc. They tried to have something from every tribe and you can see the preparation times. If you’re very hungry, this would help you decide how long you can wait for before your tummy cries out. LOL. The prices also range from about N1500 (6GBP/$9) – N3500 (13GBP/$21). You can see they also try to explain what each meal is about so you don’t order food thinking it’s something else. Their menu can also be found on their website. Our food finally came, and in good time too. It tasted really good and I wasn’t disappointed. My friend is of the opinion that the snails there are fantastic. (Doesn’t snail taste the same everywhere?). I also felt it was quite filling too. While we ate, our waitress came to find out if our food was ok and to see if we needed anything else. Considering how customer service can be in this country, I found that their staff aren’t doing too badly in that department. I noticed while we were eating, that they’re also working on outdoor sitting arrangements for people who might prefer to sit outside and enjoy their meals. I’m not sure if it’s open to the public yet. I like that the restaurant isn’t noisy and you can actually hear yourself talking despite the music and the other customers there. 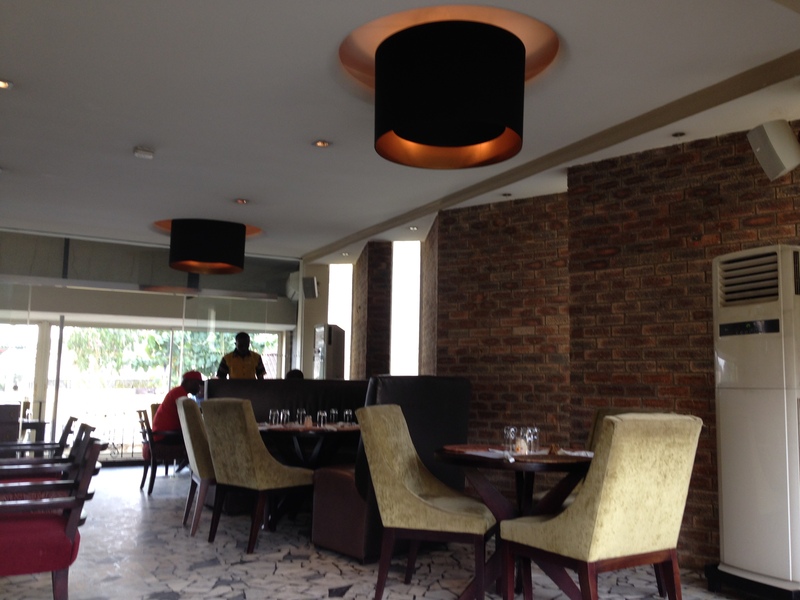 The ambience is really nice and it’s a nice place to grab a bite to eat especially if your not looking for anything too fancy. 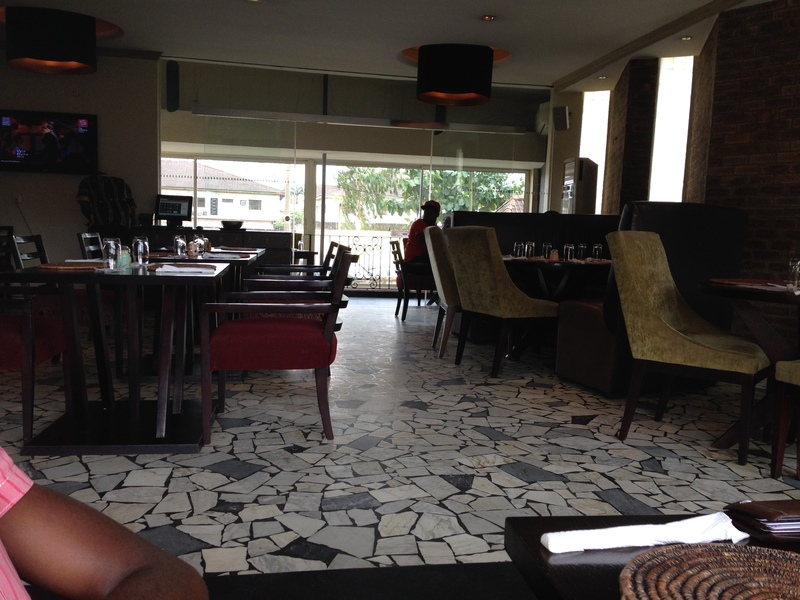 The damage done between the two of us was N5800 (21GBP, $35, 27 Euros), which isn’t bad. 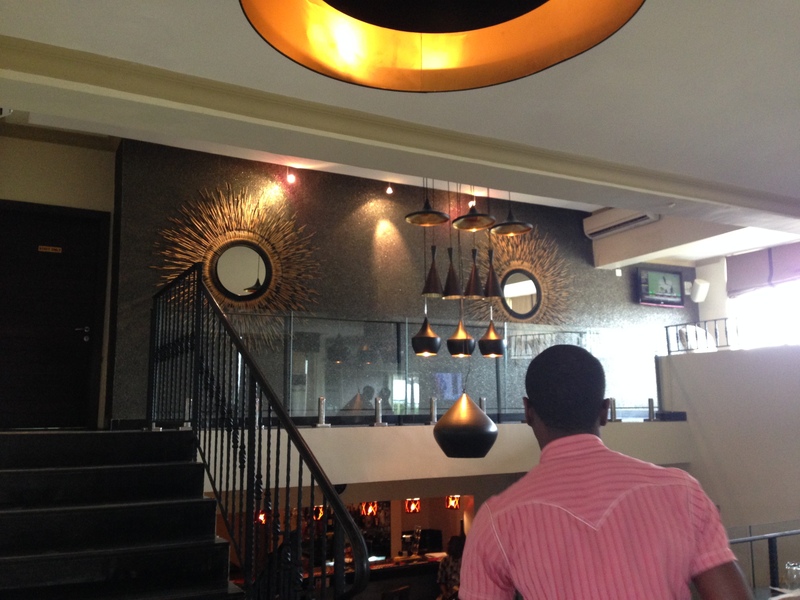 Some restaurants in Lagos tend to be quite expensive. So if you’re looking to eat Nigerian food at a price that won’t break bank, in a great environment with friendly staff, you should definitely check them out. 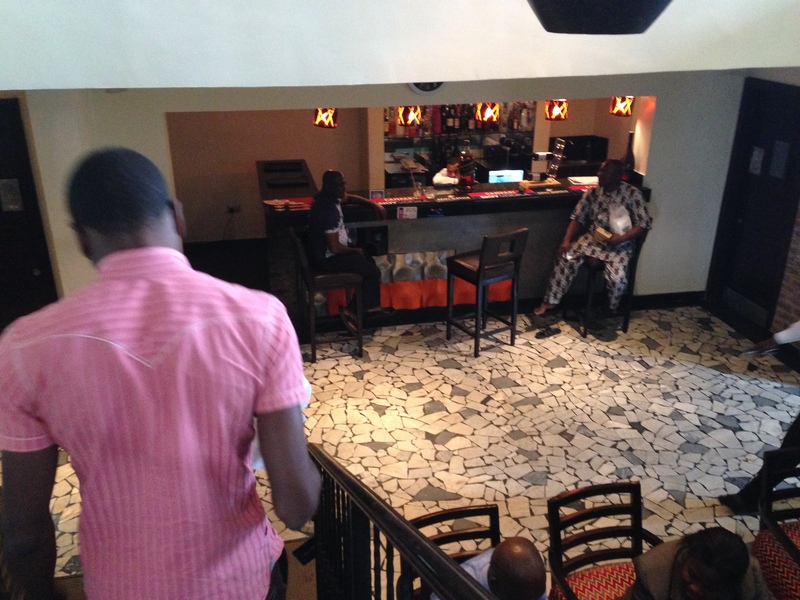 27 Ojo, Olobun Close, Off Bishop Oluwole Street. 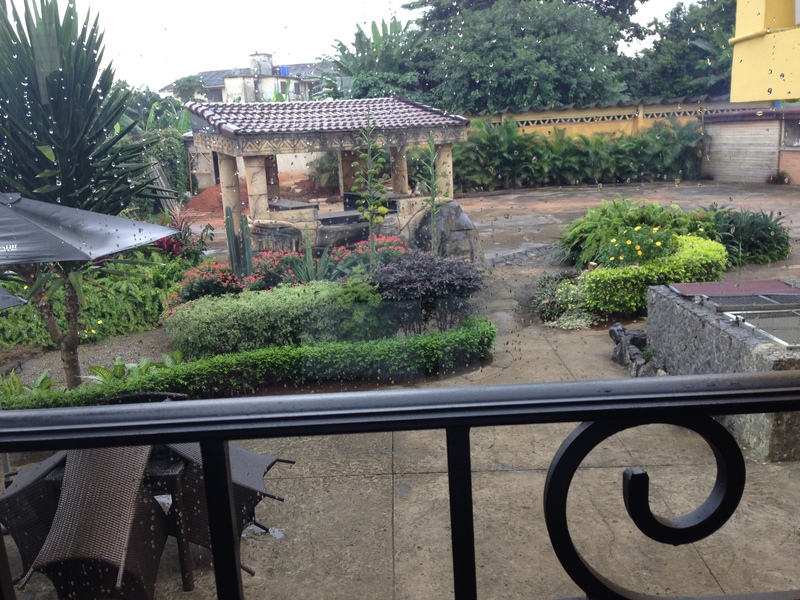 Victoria Island, Lagos.